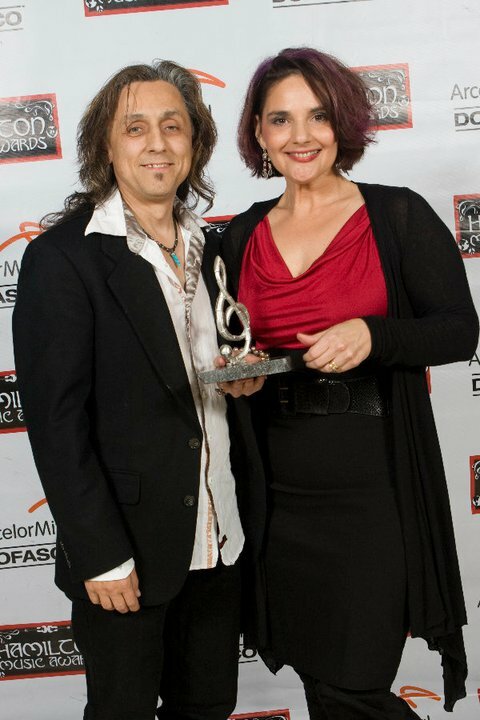 With 7 cds, film placements, and numerous awards and nominations (including 1st round Americana CD of the year at the 2016 Grammys), Tia McGraff is an international singer/songwriter who's vocal presence and songwriting depth have been compared to the likes of Gordon Lightfoot and Eva Cassidy. Tia performs live on stage with her husband/songwriter/producer Tommy Parham and together light up the stage. In 2017, Tia wrote and self published her first kids book, Jake The Road Dawg which is now in Chapters/Indigo Canada and love to share the story of their rescue Husky's travels on the road with libraries and schools. Jake can make appearances upon request too. Tia McGraff and Tommy Parham recently performed for our Freewheelin' Concerts series, for the second time. Tia has a magnificent voice. Her songs are perceptive and heart warming. Tommy plays such tasteful guitar. But when I tell people how great they are, words fail. There is something intangible that cannot be described. There is an innocence and sincerity between them that makes an emotional connection with the audience. I saw grown men laughing one minute then wiping tears away the next. Over the last nine years I've booked some of the very best Canadian singer songwriters and nobody has received as many "best show I've ever seen" compliments as Tia McGraff. If she's playing in your town, you better go see her. Or, if you're a promoter, book her now! Her new CD "Crazy Beautiful" is truly wonderful. with over 20 years of professional performing experience between them, Tia McGraff and Tommy Parham, are true professionals on and off stage. They are "hands on" with every aspect from booking the gig-to arriving and setting up for the performance. Communication is important to them, and they make sure that all the details are covered for the promoter. Once on stage, they are engaging, entertaining, and described as a modern day "Johnny Cash and June Carter." Their concerts usually run as 2-45 minute sets with an intermission. After the show they enjoy "meet and greet" with their audience, where they chat and sell their cds. In some events, they will accommodate and perform 1 longer 70 minute set followed by meet and greet. Again, they are seasoned professionals, and ready to help the organizer best suit the event. 6 international cd releases, 4 videos on CMT Canada, various film/tv placements, and numerous nominations and awards (including 2010 Hamilton Music Awards), have earned Tia a respect in the music industry and a global fan base that continues to stretch beyond demographics. Tia’s latest cd release, Crazy Beautiful, was released in spring 2015, and immediately impressed Americana and Country radio programmers in the USA/Canada/ Europe, resulting in significant chart action. Tommy moved to Nashville, TN in 1998, with a staff songwriter deal in hand, and soon became one of music row’s sought after hit melody makers. His catalog credits include cuts with major label artists, including Lee Greenwood (Rocks You Can’t Move), and film placements in movies starring Ashley Judd, etc. 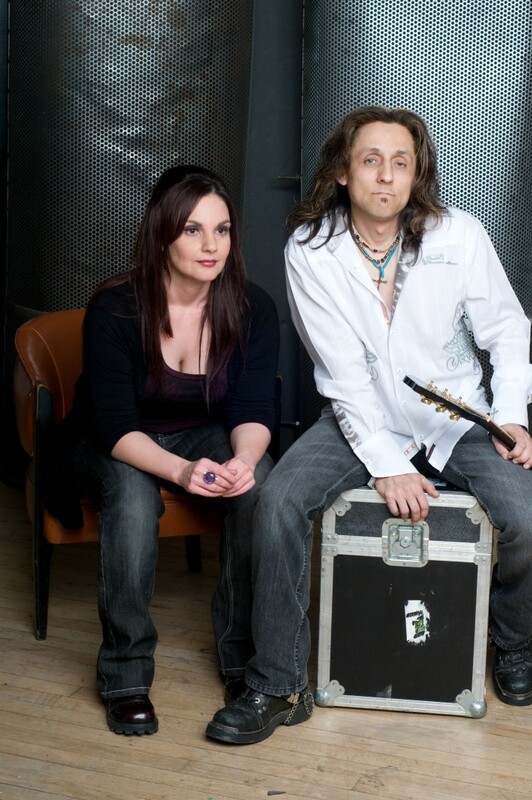 After moving to Music City, USA in 1999, Tia was introduced to Tommy by his music publisher. They began songwriting together, broke their rule of “never date a co-writer,” and on June 4, 2006 the couple were married in Savannah, Georgia. In Tia and Tommy fashion, they celebrated their wedding by performing a concert for their fans! Their love and passion for each other- their music -their fans, continue to grow, win hearts, and make them one of Americana Music’s favorite sweethearts. Randy Bachman and Andrew Gold have written songs with Tia McGraff and it's not hard to see why they've collaborated with this native of Port Dover, Ontario: her tunes bring an engaging edge to alternative country. Country fare of a more pop-oriented persuasion may draw more fans than the Americana favoured by McGraff and her peers, but those whose tastes lean more toward authenticity will find much to like in her music. I will forever remember the first time I heard Tia and Tommy play. I was running the smaller of our two festival stages, and they were the first, so wasn't much of a crowd to start. As she began to sing, with the power, purity, and conviction that she always brings to a song, people headed for the other stages began to change course. Tia and Tommy have become dear friends, but she owned me, and everyone else at that stage, as a fan from that moment forward. Tia and Tommy require a sound system suitable for the size of the room. We generally carry our own microphones, cables, and can bring stands if needed. Also, can bring our own guitar DI's. In larger event spaces, we will require 2 monitors for stage, and lighting.